Home > Plumbing Tips > Why Get a Water Heater Tune Up Before It Gets Colder? Why Get a Water Heater Tune Up Before It Gets Colder? People often associate Las Vegas with blazing heat but this is only half of the region’s climate. Once the winter season falls onto Nevada, the shift in the average temperature is dramatic. 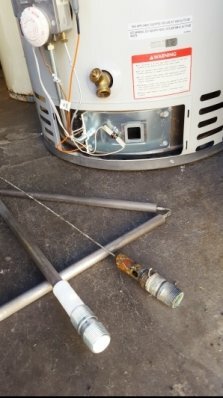 Out of all the equipment and appliances in a Las Vegas home, your hot water heater may be impacted by this extreme temperature fluctuation more than anything else. In order to heat water to a comfortable temperature, your water heater will need to work much harder than before to heat up the chilled, nearly-frozen, water stored within it. All of this extra effort can lead to extra wear and tear, which is why our team of Las Vegas plumbers at Star 5 Plumbing LLC. recommend a water heater tune up every fall.